Identification: Reliably identified only on basis of genital morphology. For sight identification, the brown marking that occurs midway on the posterior margin of the forewing tends to extend anteriorly and apically, whereas in the similar P. quadristrigella, this marking is a low-lying, non-extended trapezoid. Also, the frequency of melanism, seen in various degrees, is higher in P. cretea than in other Nearctic Pseudopostega species. Life History: Not reported. The only Nearctic opostegid that has been reared is Opostegoides scioterma, the larva of which lives and feeds in a linear mine in the bark of gooseberry and currant (Ribes spp., Saxifragaceae), after which it leaves the mine to pupate in a densely-woven silken cocoon in the upper layer of the soil. Flight: Adults have been collected from May-June (southern part of range) to July-August (northern part of range). Habitat: Adults have been observed at light in a variety of habitats, from deciduous forest to open sand savanna. Range: Isolated records from British Columbia, Canada, and Washington, USA; otherwise known from a large area of the eastern USA, from Texas to Florida in the south, Wisconsin to Maine in the north, and also southern Ontario, Canada. Conservation: Not reported. Much of what is known about Opostegids comes from Davis, D. R., and J. R. Stonis. 2007. 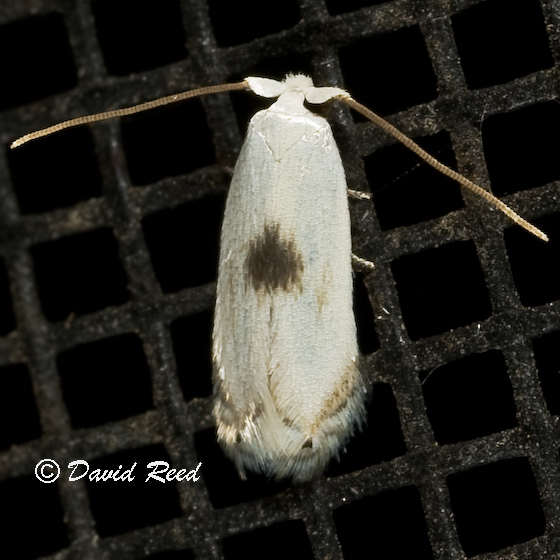 A revision of the New World plant-mining moths of the family Opostegidae (Lepidoptera: Nepticuloidea). Smithsonian Contributions to Zoology 625: v + 1-212. Comments: Description from Terry Harrison, May 2009. Taken from: Davis, D. R., and J. R. Stonis. 2007. 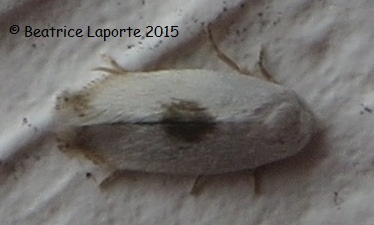 A revision of the New World plant-mining moths of the family Opostegidae (Lepidoptera: Nepticuloidea). Smithsonian Contributions to Zoology 625: v + 1-212.